Who's going? Pete, SteveC, Ancodia?? WOW, bowlers looks epic.........the lasers are on a different scale, this is going to be the BEST 808 gig in years. 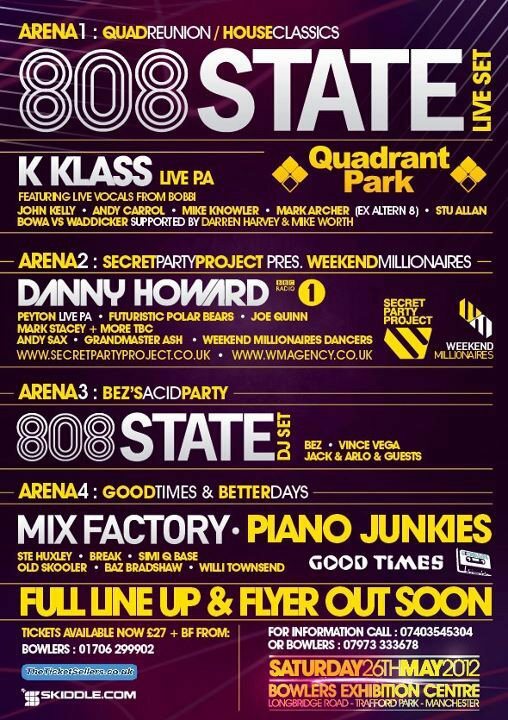 No Bez and his acid party or 808 DJs?..............and just 3 arenas now not 4? 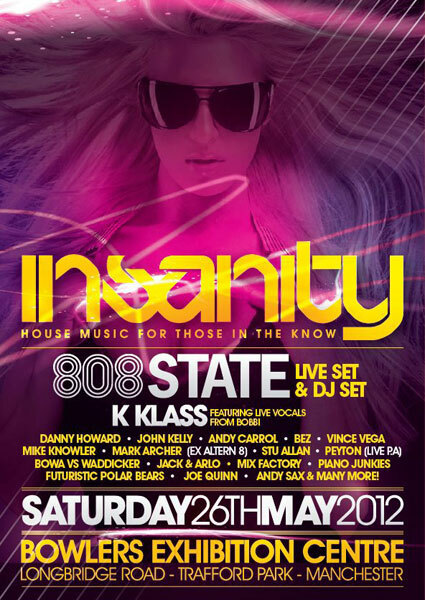 SteveC wrote: No Bez and his acid party or 808 DJs?..............and just 3 arenas now not 4? Although this recent flyer suggests otherwise? The event has it's own website! Do you know what time 808 are due on? I think Andy and Daz are walking over after the radio show so was thinking maybe 12.30. If you can post the time so I can work out if I can still make it, cheers. I thought they said this weeks show would be pre-recorded as they're at Bowlers. ah, thanks, so its probably before midnight then.